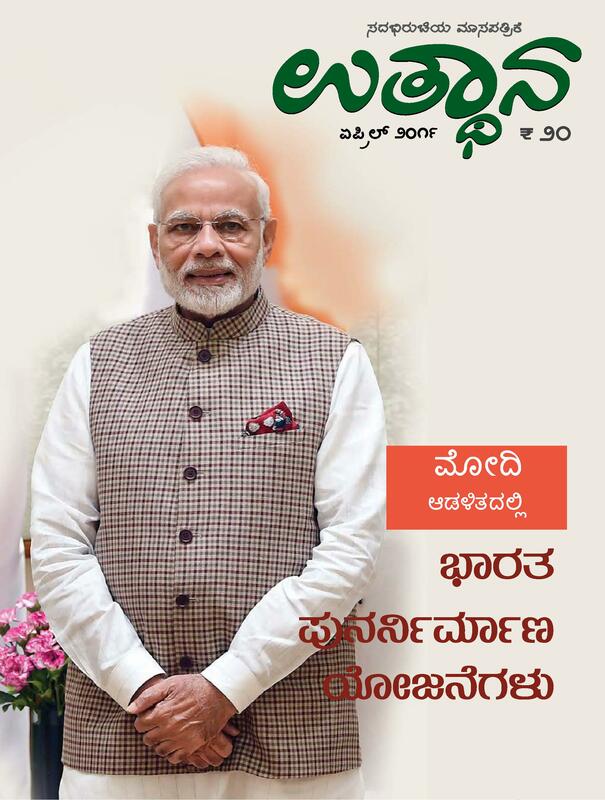 Utthana, a monthly Kannada magazine being published by Utthana Trust for the past 5 decades has found its mark and niche with the Kannada intellectuals based on its high content value. 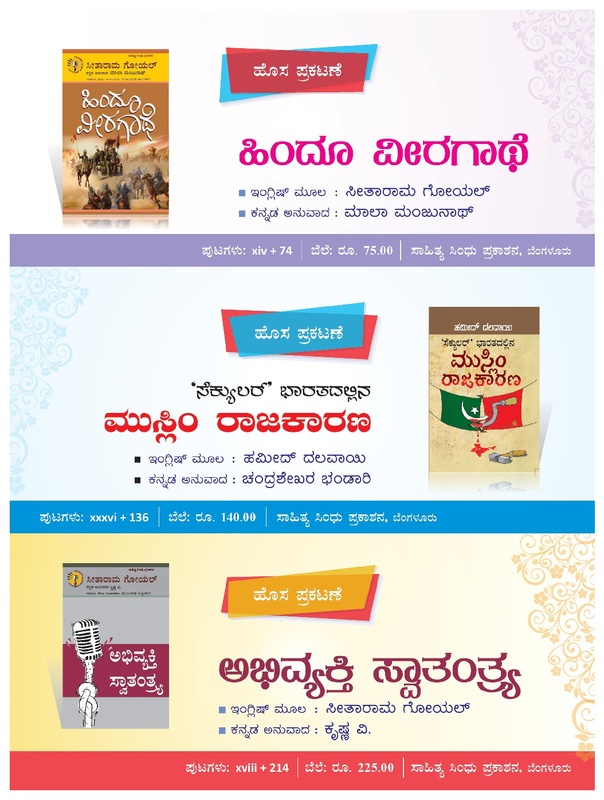 Utthana has direct connect with its readers across the State and beyond, and has been a constant churning platform on various issues across the divergent fields such as social, literary, political, art and other major segments. 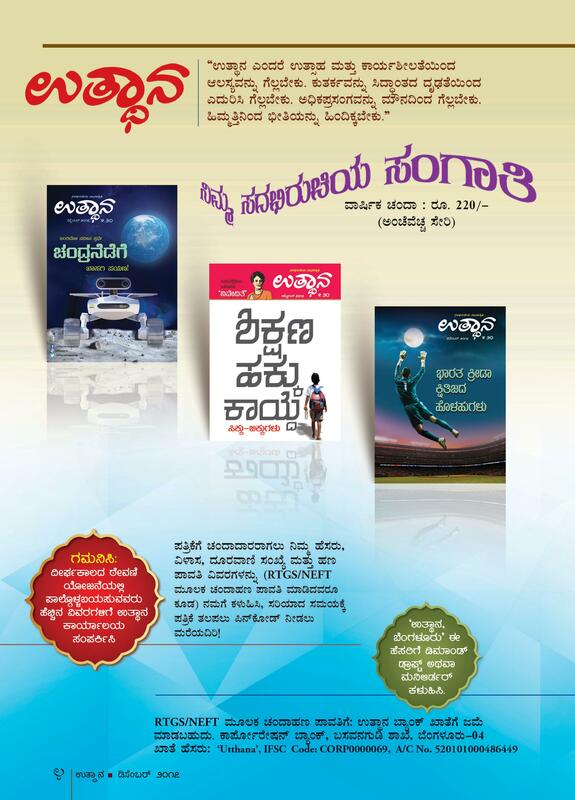 The constant endeavour of pursuing the highest level of journalistic values and ethics without compromising on the commercial aspects have made Utthana very dear to its readers. Five decades of publishing has resulted in Time Tested & Time Trusted factor by both the readers and the commercial supporters. 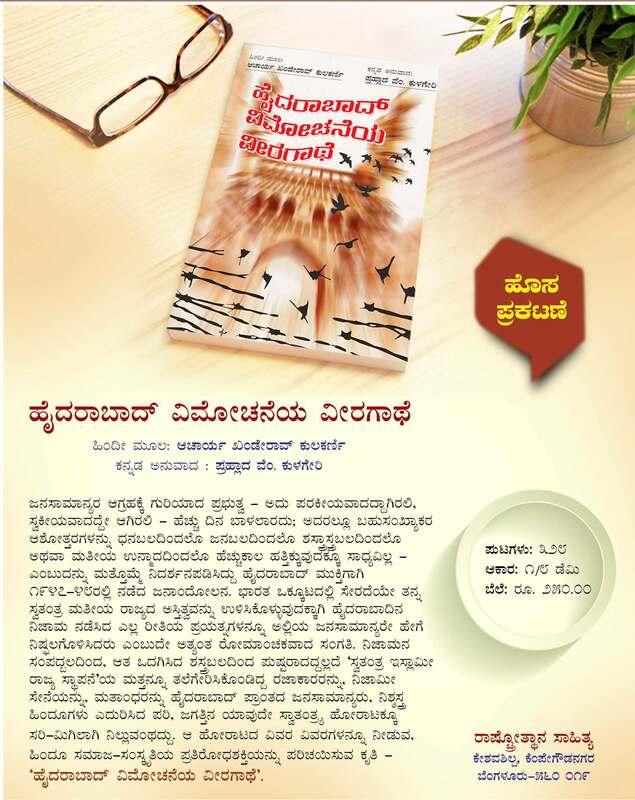 Its effective readership base (22000+ copies) consists of high intellectuals, literary critics, cultural icons and experts in many spheres of life. We recommend Utthana to all our commercial partners to reach their prospective market base as an effective media product. Magazine would be released to the market on 28th of every month. 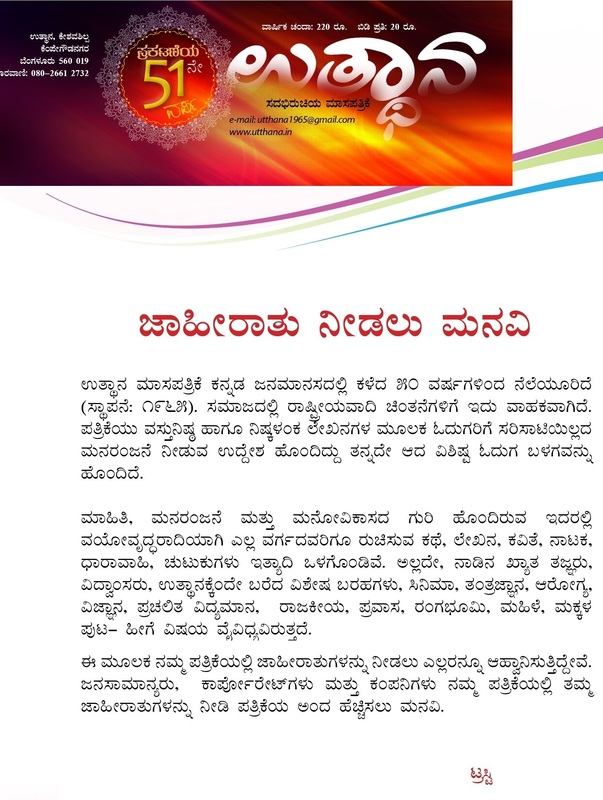 Payments to be made through NEFT / Cheque / DD, favouring UTTHANA, payable at Bengaluru.